According to the latest reports, the little footbridge shown above at the Porvenir/Pilares crossing of the Rio Grande is next on the Border Patrol removal list. The Border Patrol is requesting landowners on the Texas side tear the bridge down. Below is landowner Fred Nelan's response to the Border Patrol. After our conversation this morning I would like to reduce to writing in this email the facts that I conveyed to you. First of all I don't believe that the bridge in question in Section 65 belongs to us. I therefore will not be destroying it this weekend as we discussed late yesterday. It seems that congress authorized in 1972 the funding for channeling of the Rio Grande as well as preservation of wildlife on the river. This was in accordance with some Treaty with Mexico and they were to do a similar project on the other side of the river. It appears that many surveys were then conducted as well as environmental impact studies were done. In the early 1980's the International Boundary and Water Commission (IBWC) began executing the project and acquiring right of way and lands for wetland set aside from landowners with river frontage. We were owners of the subject land at the time and a 200 foot right of way was acquired from land owners between a place called Haciendita on the South and North to Fort Quitman. We received compensation for some 47 acres in this right of way for our river frontage and assume most other land owners did also. The frontage on our Section 65 as well as a small piece of Section 66 was identified also as wetlands. We were compensated for 23 acres and the IBWC took title to this land. It appears to me that since our land in Section 65 does not touch the Rio Grande at any point ,and what does touch is owned by IBWC, then the bridge is not our responsibility. As I told you I have extensive files on this matter with maps and plans supporting the whole project including the environmental assessment. These files should be available to you from sources other than from us. I will deliver these files to our Attorney and partner and you can communicate with him regarding these files. He is Robert Perel and he has sent you a letter recently that on the letterhead will appear his contact information. On a personal note I would hope that somewhere in this great government of ours someone can help alleviate the hardships you are about to impose on a few law abiding US Citizens living in San Antonio de Bravo. Removal of the Candelaria bridge to stop terrorists and Drug smugglers as well a few illegal aliens from crossing is ludicrous . They don't cross there anyway. Those illegal aliens that do cross are not the ones that are headed into our heartland and are so controversial but they are part of family and culture of our great Rio Grande Valley. We need to allow their children to catch that school bus in Candelaria each morning. I write this as I see the new wall under construction over the sand hills west of El Paso. It is going down the Border on its way to California. I was raised here in El Paso and it breaks my heart to see such things happening. Once again it is happening at Candelaria. Nothing-new when innocent law abiding folks come under the gun of politically motivated military style repression. Fear and intimidation is always the common element and the bad guys end up smiling. This comes as no surprise to those of us who study and interpret the past on a daily basis. A drug war in Mexico has again brought the powers of the U.S. government to make ill informed border policy decisions that simply make matters worse to the considerable benefit of lawbreakers. Candelaria is a tiny remote Texas-Mexican border village located in the rugged Presidio Valley of the Big Bend. A muddy stream known as the Rio Grande River separates Candelaria from San Antonio del Bravo, Chihuahua. Very few outsiders understand that these are not two separate villages; they are simply one community with a sluggish stream of water in the middle. The problem is, however, the watercourse has been an international boundary since 1849. The Candelaria/San Antonio community has been in existence for centuries. The original inhabitants were people the Spanish called Jumano. In the early 1500's, when the Spaniard Cabeza de Vaca made his way through the Presidio Valley he was the first European to observe these peaceful but resilient farmers and traders who depended on the Rio Grande to exist. But the Jumanos were anything but peaceful when it came to defending their lives and homes from outside intrusion. The Spaniards brought the horse and about half a century after Cabeza de Vaca began introducing military solutions to dominate the land and enslave the people. The Spaniards were not the only outside intruders. When the Pueblo Revolt of 1680 took place other Native American groups from far away became mobile on the horses the Spanish brought. Empowered Apaches and Comanches came to raid and steal and the Jumanos fought back as best they could. In 1848 the Mexican War resulted in the Treaty of Guadalupe Hildago and the watercourse in Candelaria and San Antonio became an international boundary. Suddenly the United States acquired most of the northern lands of Mexico when the despot Santa Anna cheaply sold out his country to save his hide. Having little knowledge of their new land, the U.S. government launched an era of exploration and mapping. In 1849, Lieutenant William Henry Chase Whiting set out to discover and map a practical wagon route between San Antonio, Texas and El Paso. In the spring of the following year, he entered the Presidio Valley and passed through what we know today as Candelaria/San Antonio del Bravo. Fortunately for Whiting, the native inhabitants of the community had moved into the Sierra Madre to escape the searing summer heat. Had he arrived a few months sooner his scalp might well have ended up swinging in the wind from a lodge pole. Now Candelaria/San Antonio was on a map. About 1881, the Candelaria Catholic church received a new bell. Sometime after that, Candelaria got a school. In 1901 Candelaria post office opened and a store serving the needs of a vast area of Texas and Mexico began to prosper. You could buy groceries, beer, hardware, clothing, gasoline, guns and ammunition. In those days, the Rio Grande flowed wonderfully and farming in the Presidio Valley offered new hope of better times. Cotton farming was introduced in the valley and good water and high cotton prices fueled the establishment of cotton gins. Candelaria had two gins and soon a two-story hotel complete with a barbershop. There was also a saloon and billiard parlor. The 1910 Census counted 543 residents of Candelaria. Also, in 1910 a revolution, the first great revolution of the twentieth century, brought war to Mexico. Landless peons, small landowners, merchants, artisans and tradesman took up arms and followed leaders like Pancho Villa into battle. Isolated in Chihuahua, Villa depended on the Mexican border for a steady flow of arms and the materials of war. An arms for cattle trade fueled Villa's armies. More than a million people died in this war. Border raids into the Texas Big Bend brought the U.S. military into the picture. 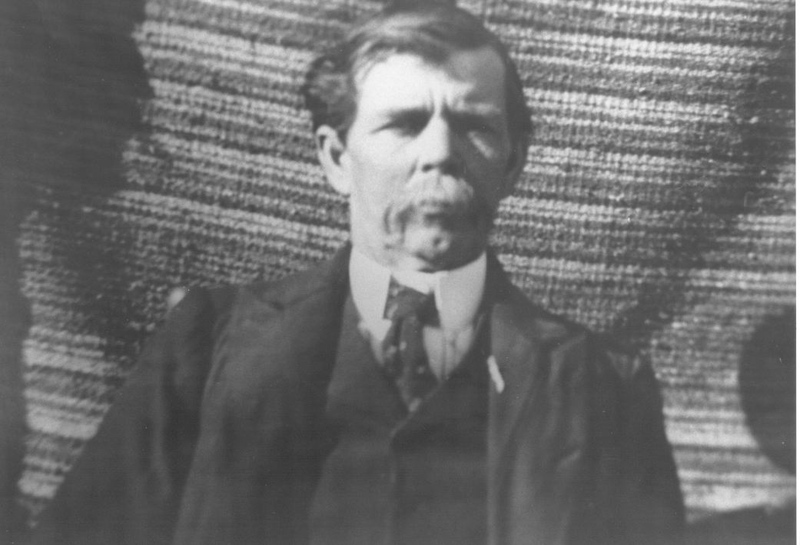 Candelaria merchant J. J. Kilpatrick pleaded for help to defend his town and in 1917 the Eighth Cavalry built a new border outpost overlooking Candelaria. Most of the people moved away to escape the violence. Fear was everywhere. Not many bandits or outlaws got caught and the military ran roughshod over a lot of harmless peaceful people in the Presidio Valley. 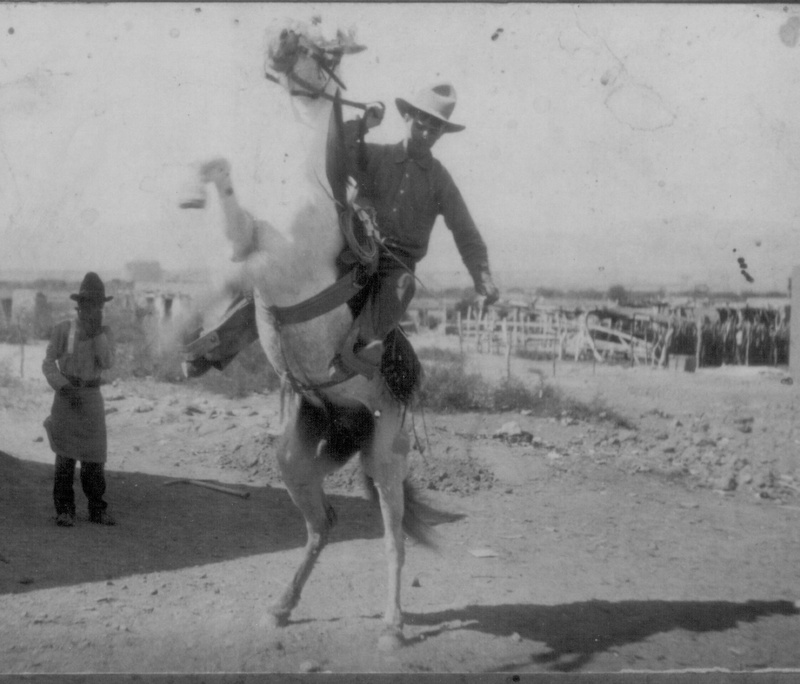 The military didn't stay long and departed Candelaria in 1919 after U.S. cavalry galloped across the Rio Grande at Candelaria drawing more innocent blood during the last American punitive expedition into Mexico. There have been smugglers plying their illegal trade since the Rio Grande became the border. Without the designation of the Rio Grande as an international boundary smuggling could not exist. From the beginning of the twentieth century smugglers have trafficked a variety of items including prohibited liquor, guns and ammunition and more recently people and drugs. In the early 1980's, the U.S. government managed to drive the Columbian cartels out of south Florida to the Texas Big Bend. Drawn by the remoteness of the Big Bend, the drug smugglers prospered bringing their loads into the United States. Today in Mexico there is a new war being fought. The drug war is fueled by an arms for drug trade. As the Mexican drug lords struggle to control their turf across the river, a wave of immigration has come to the forefront of American politics. Again we hear calls to militarize and close the border. Some demand a wall be built between the United States and Mexico. It's a simple but poorly thought out solution to a very complex issue. Just recently a powerful someone in Washington found out about that Candelaria still has a bridge and ordered it immediately removed. Few have really considered the impact of tearing it down. When the Border Patrol closed the crossing at Lajitas a few years ago, the action resulted in the economic death of Paso Lajitas the little village just across the river. Tourists no long came, the restaurants went out of business and the school closed. There was no work for anyone, the people moved away, and the town became abandoned. Today there are no watchful eyes of good people living there and the smugglers have the perfect vantage point watch the Border Patrol coming and going across the river. With the little footbridge at Candelaria gone, both towns will wither. The closing the border will devastate the local economies on both sides of the river. Children cannot go to school, good people who need their jobs will have no work. The San Antonio medical clinic will have no way to call for help. There will be nobody to work cattle or fix fence on the ranches. And this only plays into the smugglers hands giving them an empty abandoned countryside to operate in unobserved. The Border Patrol comes, the smugglers stay on the Mexican side, the Border Patrol leaves, the smugglers cross and go about their business. And who is hurt worst by this? Good and decent people who deserve better treatment and more understanding. And the fear and intimidation continues. Some blame individual United States Border Patrol agents for the recent order to destroy the Candelaria, Texas, footbridge across the Rio Grande. This may be misleading. The removal order probably came through a maze of bureaucratic channels before reaching the desk of Sector Chief Smietana at Marfa; nevertheless, the harm that could result from the fulfillment thereof remains ominous. Border residents in the Chihuahuense village of San Antonio del Bravo as well as the several hundred United States citizens who reside in and near Candelaria will be adversely affected should access via the footbridge be denied. Moreover, a bridge closure will result in an exodus of la gente to more populous areas such as Odessa, Texas, and Ojinaga, Chihuahua. The Red Sea never parts for the poor and dispossessed. Such an out-migration from the already sparsely-populated desert would be advantageous neither for the families involved, for the region itself, nor for the stability of the receiving cities. One wonders, then, whether there remain any lawyers willing to work pro bono, that is: "without compensation for the public good." The myriad of large landowners in southern Presidio County, mostly distant city dwellers with no traditional or familial connection to the region, may care little about the bridge issue; regrettably, certain of them may even favor it. Certainly folk who reside along the Rio Grande, most of whom bear Hispanic surnames, cannot afford to pay astronomical legal fees. Therefore, so much for Equal Justice Under Law, the famous motto engraved over the portico of the United States Supreme Court. "Equal Justice," is obviously reserved for those who can afford it. A lawsuit defending the rights of traditional Candelaria residents, perhaps class-action in scope, timely filed, could result in an injunction that would stop enforcement of the Department of Homeland Security's order for removal of the bridge. In other words, it would buy time. It seems certain that by early next year the Washington power structure will have shifted. Then this supposed "problem," exacerbated by politicians who know nothing about acculturative factors at work along the "forgotten Rio Grande" may, like a votive candle, have melted away. The question at hand is more profound than it first appears to be. Consider history: first, the displacement of Mexican-origin people along the Rio Grande border that began with choplogic interpretations of the Treaty of Guadalupe Hidalgo (the Treaty) in 1848-49 (signed by both countries on February 2, 1848). Second, takeovers and outright swindles, often under coverture of interpretations of the Treaty, Article X (land grants), beginning in the "Magic [lower Rio Grande]Valley" of Texas a century ago; acquisition by sale, the Gadsden Purchase of 1853 for example; another, under the heavy hand of vengeful White ranchers and their agents, those being certain companies of bloody-minded Texas Rangers (the Porvenir Massacre comes to mind); the pandemic of Spanish influenza in 1918 during which 3% or more border dwellers of Mexican-origin died; or as cannon fodder in a series of twentieth-, and now twenty-first century "rich man's war, poor man's fight" scenarios, and otherwise since 9/11 under the guise of "Homeland Security," (a catholicon if ever one existed). One thing seems certain. If something isn't done to stop the accreting vacantness of the Chihuahuan Desert in the United States above Terrell County, Texas, the region will become a desplobado, or "no man's land." Several centuries of progress for the area will be ended and the process of acculturation brought to a standstill. If that's what a handful of people really want, then shame on them.